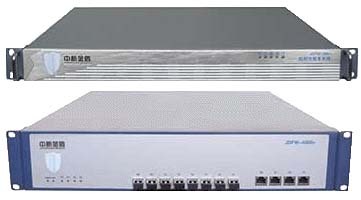 Kingdon Hardware Anti-DDoS firewall System support LC-SC multi-fiber port connection and large number IP round, difference routing way and VLAN in the same time to provide the protection around 1Gbps to 8 Gbps connecting bandwidth. Kingdon Firewall support the protection for SYN Flood, UDP Flood, ICMP Flood, IGMP Flood, Fragment Flood, HTTP Proxy Flood, CC Proxy Flood, Connection Exhausted... and it can auto define some of attack action, through the firework system stop the attack package affect internal network. Protect the server without system error in DDoS / DoS attack, and have the WEB protect mode and Game Protect mode can help network technician to solve the DDoS / DoS attack for these two services. In network testing, Gigabyte network environment, JDFW-1000+ can support within 1Gbps DDoS attack. User can manual to setup the rule to protect and filter any connection, like stop some of IP address to connect to server, check the network package and denial some of connection to TCP/IP port. Our Firewall system can auto to trace and logging any connection record, and help to create the report to show to user for analysis, and firewall also can manage the connect time and release connection to solve some of problems in TCP/IP protocol. User can via the webpage to control all of firewall and connection. Our products use the Graphical User Interface. User not need to learn the command key and it's easy to change any setting. Kingdon firewall can suppport any network environment, even for ISP, Online game companies, IDC or enterprise. Kingdon Firewall also can protect your network.